There are many factors that contribute to a boat’s speed and efficiency. Primary among them is the weight-to-horsepower ratio. 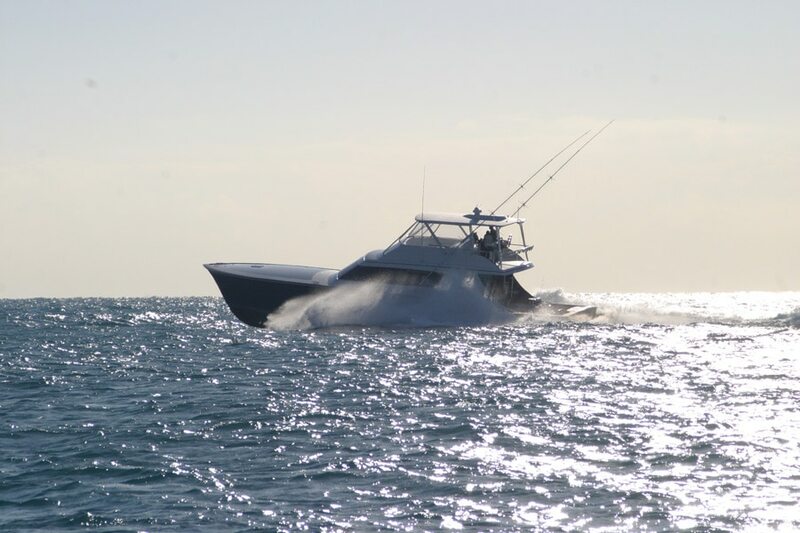 Our build method not only produces a stronger boat, but also one that’s as much as 30-percent lighter than other sportfishing boats. That means you can count on cruising speeds in the mid 30-knot range, and expect top-end speeds to exceed 40 knots. Put into real-world terms, you have the ability to move from one location to another 30 miles away in about an hour. Now that’s moving. Our hull design is a refinement of shapes and lifting surfaces, optimized to enhance that stellar power-to-weight ratio, and ensure you can maximize your time on the water. Plainly speaking, it is designed to let the water flow past with as little resistance as possible. You can see this by bending a flexible batten along complex areas of our hull, such as a prop tunnel, and that of our competitors. Bend that batten along a Jarrett Bay bottom and it will bend in a fair curve, conforming to the shape, indicating water will flow unimpeded. From a hydrodynamic standpoint, our running bottom provides a great balance between providing ample planing surface and delivering the best angle of attack. The volume is distributed differently than most boats, with most of it concentrated amidships. 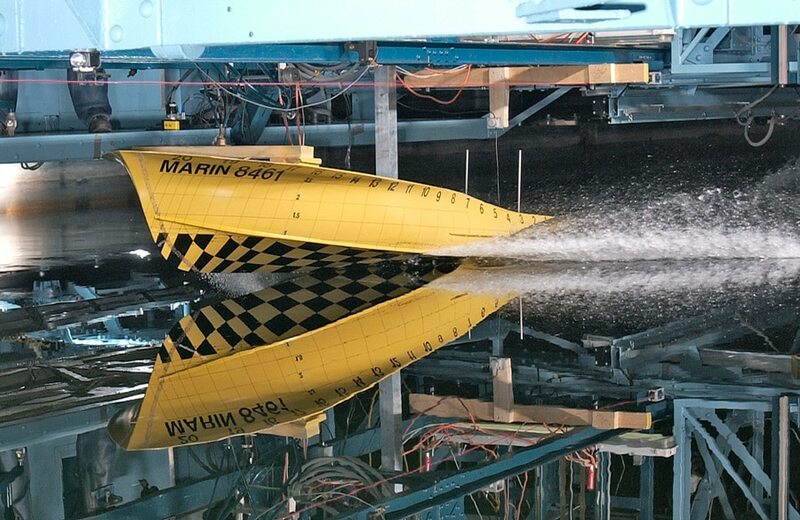 Considered highly unique, our design was proven super-efficient in the test tank at the prominent Marin Institute in Holland. Bottom line: Less money spent on fuel & more on fun while you own your Jarrett Bay. And when you are ready to sell, you’ll earn a premium in the used boat market as demand for more efficient boats tops the search criteria for buyers.